The term “celebrity chef” truly applies to Dan Barber. To wit: Time magazine named him one of its “100 Most Influential People” in 2009 and former President Barack Obama tapped Barber for his President’s Council on Physical Fitness, Sports & Nutrition. He has given TED Talks, written a book on farming and food systems (The Third Plate), and racked up James Beard Awards for his highly respected restaurants: Blue Hill in Manhattan and Blue Hill at Stone Barns in Pocantico Hills, New York. The chef also co-owns Blue Hill Farm in the Berkshires—its grass-fed cows supply his eateries with dairy. Here, the multitasking caseophile dishes about his newfound passion for brewing and, of course, favorite cheeses. I’ve been getting really into brewing these days—it’s a fascinating process. We just partnered with Grimm Artisanal Ales on a new beer: a Berliner Weisse brewed with soil-supporting cover crops [species planted to restore nutrients, prevent erosion, or otherwise improve soil quality in fallow fields]—clover, barley, oats, and rye. It’s so delicious. It has this beautiful, whey-like acidity. We’ve been working on an ice cream made with smoked milky oats. Farmers often grow oats as cover crops, mowing them down before maturity so they can enrich the soil for the next crop. We cook with just the tip of the plant—the immature oat, which is still in its sweet, milky stage. The rest remains in the field to feed the soil. Spending a day at Blue Hill Farm with my wife and two daughters. My daughter Edith makes sure to wake me up in time for the morning milking. The dehesa, a 2,000-year-old system of agriculture in southern Spain, inspires me. The landscape is essentially a manmade savannah—farmers thinned the forest to create beautiful grasslands dotted with large oak trees—best known for producing jamón ibérico, but it’s incredibly complex and interconnected. In addition to pigs are high-grade olives, cork, grain, sheep, cows, and vegetables—often found on the same farm. 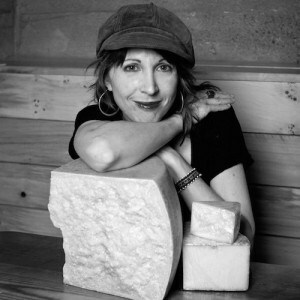 There are also amazing sheep’s milk cheeses [from the region], such as Torta del Casar and La Serena. People managed to turn a very difficult landscape into one of the most diverse and delicious regions in the world. Our answer to the industrial food system has traditionally been to substitute more sustainable alternatives: organic instead of conventional; grass-fed instead of grain-fed; direct instead of anonymous. But I think we need to dig a little deeper and think about a holistic pattern of eating that supports our landscape. We don’t give enough credit to the middlemen—to the infrastructure required to support regional food systems. Take grain: Right now, there’s huge demand for local grains in the city and a growing number of New York state farmers willing to meet it. But we still need more proper grain drying and storage facilities, mills, and malting houses. My father’s rubbery scrambled eggs. They were god-awful, but I ate them [for] breakfast, lunch, and dinner. Bone Char Pearl—a collaboration between Blue Hill, Seal Cove Farm, Crown Finish Caves, and Saxelby Cheese—is an ash-rind cow’s and goat’s milk cheese dusted with ground bone charcoal (carbonized animal bones). The aroma is crazy.